Egg drop science fair projects require raw eggs and common household products, such as toilet paper, plastic straws, paper clips and egg cartons. Projects usually focus on ways to protect a raw egg as it is dropped from significant distances (3 or 6 feet). Make sure students comply with project-specific rules. For instance, your project might prohibit certain materials or limit the amount of material that can be used (such as a maximum five cotton balls). Start by having students write a hypothesis, which represents their educated guess about what will happen to the egg. As you gather all of the supplies, bring extra materials so that students can experiment using different methods. By designing at least two ways to protect the egg, they can compare the results. For example, they could create a parachute for the egg or develop a protective layer so that it is secure on all sides. Have students consider possible variables (benefits of a light versus heavy solution) as they build the models. 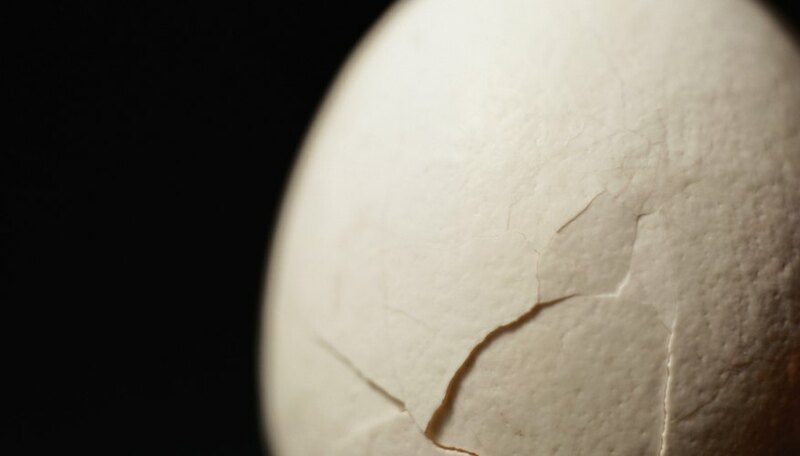 If they drop the egg outdoors instead of down a school stairwell, wind speed might affect the results because the egg might rotate more frequently. Thus, a design that protects the egg’s base might be ineffective when the egg lands on its side. Instruct students to collect data throughout the process, which they can record on paper or an online journal. They should describe the experiment’s results and highlight the conditions of the egg drop. Have them measure the drop distance and state the weather conditions, including temperature. Let the students repeat the experiment a few times in different locations or under different conditions. Their project conclusion should summarize the results as well as discuss the hypothesis (whether the results supported their guess). The students can present their results using a chart or graph. If the data did not support their theory, have them explore possible explanations and solutions. For example, would wrapping the egg in newspaper make a difference? Some teachers assign egg drop projects to groups of students. If two or more students participate in the project, each person should contribute equally. Before turning in their projects, students should answer all questions completely. Have them state whether the egg and carrying device survived the fall and if they would change anything when performing the experiment again. The students might also discuss science concepts such as inertia, motion and gravity, which all impact the egg drop result (for example, "the egg’s motion increased as it accelerated towards the ground"). Also, have students review their submissions for grammatical errors or incomplete sentences. If they prepare poster boards about the project, have them consider taking pictures of the different steps (gathering materials, testing, results and evaluating). Gebremichael, Maggie. "Instructions for an Egg Drop Science Fair Project." Sciencing, https://sciencing.com/instructions-for-an-egg-drop-science-fair-project-12742746.html. Accessed 24 April 2019.